Click this and Bing will automatically (automagically?) filter the search results to display just those that exactly match your computer screen’s resolution. 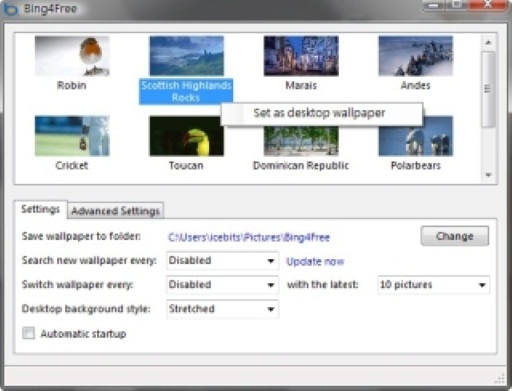 You can then find an image you like and set it as your desktop background. Nice!